Spread Pick: Anadolu Efes with handicap -2.5 at 1.90 Over/Under: Over 150.5 1.90 Bet Now! This is a game between two teams have a great level of knowledge and experience of each other. The two sides have managed to face off against each other in 7 of the last 8 seasons, and they also played off against each other all the way back in 1996 in the Korac Cup. 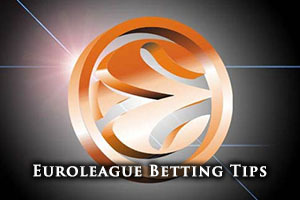 This provided Efes with their only European silverware, so it is well remembered in Turkey, but it isn’t something that is going to help you with your Euroleague basketball betting strategy for this weekend. What may provide you with a push in the right direction is the fact that Efes can boast of a 5-13 lead in the series between the two teams but Milan have triumphed in their last three home games against Efes. This may be enough to tip the tie in their favour but both sides have a number of big players that are more than capable of winning basketball games. Milan hold a 6-9 record so far this campaign and have scored an average of 75.3 points per game in the Euroleague. They hold a 5-5 record in the regular season a 1-4 record in the Top 16, so they will be desperate to grab a win in this game if they can. Daniel Hackett has been an immensely important player for Milano this campaign with the Italian forward grabbing an average of 11.1 points per game and an average of 4.7 assists per game. The Jamaican center, Samardo Samuels has also been in fine form, offering an average of 5.3 rebounds per game. Milano have definitely been performing better domestically, and they hold a 15-2 record in Italy. This sees them sitting in 1st place in the table and they defeated Dolomiti Energia Trento 84-102 in their last game. 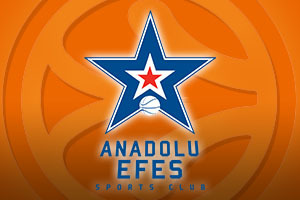 Anadolu Efes hold a 9-6 record so far this Euroleague campaign and they have scored an average of 74.1 points per game. The Turkish side grabbed a 6-4 record in their regular season and hold a 3-2 record so far in the Euroleague. Their key man this campaign has undoubtedly been Dario Saric, the Croatian forward. He has notched an average of 10.4 points per game, but he has also notched an average of 5.4 rebounds per game. Another big player for Efes has been Dontaye Draper, who has provided an average of 3.5 assists per game. Efes are also doing well domestically, holding a 13-4 record and sitting in first place. In their most recent domestic outing, they enjoyed a big win over Trabonspor. The 71-97 win was indicative of the dominance that Efes have at home in Turkey. It has the makings of a close game, so taking Anadolu Efes with a handicap of -2.5, at odds of 1.90, is likely to be a safe bet. You will find that the Under 150.5 bet, at odds of 1.90 is attractive if you are keen to make the most of the Over/Under bet. Both of these bets can be found on Bet365. Bet Now!